If I’m counting correctly, this is the fifth book I’ve read from JM Guillen, and I continue to be impressed. The Wormwood Event is an excellent, gripping work of short fiction that combines Lovecraftian horror with a modern sensibility and setting. 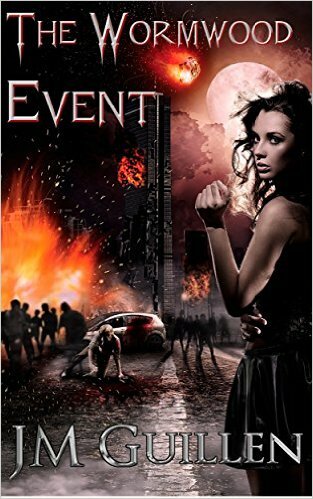 Experience the end of the world through the eyes of college student Grace Juarez, a survivor of the horrifying event that left billions dead and turned billions more into savage, soulless monsters. I enjoyed the references to a couple of elements from his other books–note that these are not gratuitous mentions, but in-universe elements that fit perfectly for how they are used. My one complaint is that I want more! This is only a brief novella–really more of a long short story–which I read in one sitting. I’m hopeful this tale will prove an introduction to another, to take place after it ends.